Seventeen years after a global nuclear catastrophe, civilization re-emerges from the chaos to find a world dramatically changed. In Hope County, Montana, the remaining populace has gathered into different groups, each with their own rules for survival. In this new world order, the vicious Highwaymen, led by twin sisters Mickey and Lou, travel from place to place bleeding people dry of all available resources. As the Survivors try to defend their land against the Highwaymen's relentless onslaught, it's up to you to come to their aid and lead the fight. 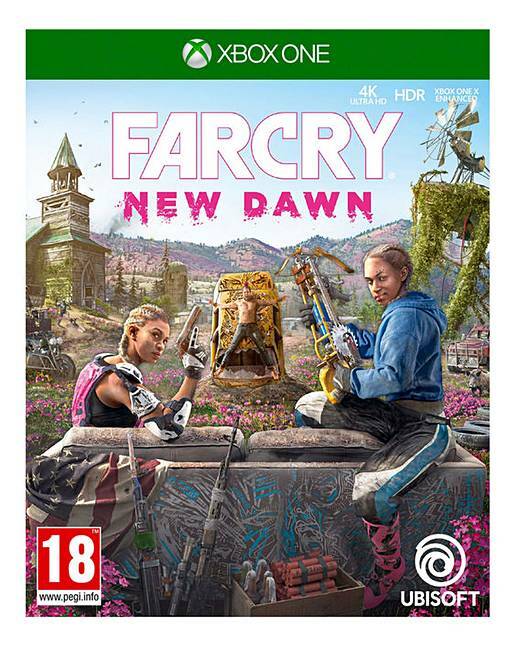 In the latest installment of the award-winning Far Cry franchise, you are the last line of defense in a transformed, post-apocalyptic Hope County. Help the community of Survivors grow stronger, craft a makeshift arsenal through Escalation and cross-country Expeditions, and form unexpected alliances to fight for survival in a dangerous new frontier.